The IPython Sphinx Directive is in ‘beta’ and currently under active development. Improvements to the code or documentation are welcome! This tutorial should be read side-by-side with the Sphinx source for this document because otherwise you will see only the rendered output and not the code that generated it. Excepting the example above, we will not in general be showing the literal ReST in this document that generates the rendered output. The state from previous sessions is stored, and standard error is trapped. At doc build time, ipython’s output and std err will be inserted, and prompts will be renumbered. So the prompt below should be renumbered in the rendered docs, and pick up where the block above left off. The embedded interpreter supports some limited markup. For example, you can put comments in your ipython sessions, which are reported verbatim. There are some handy “pseudo-decorators” that let you doctest the output. The inputs are fed to an embedded ipython session and the outputs from the ipython session are inserted into your doc. If the output in your doc and in the ipython session don’t match on a doctest assertion, an error will occur. For more information on @doctest decorator, please refer to the end of this page in Pseudo-Decorators section. If there is a difference, the directive will raise an error and your documentation build will fail. For more information on @supress and @doctest decorators, please refer to the end of this file in Pseudo-Decorators section. You can create one or more pyplot plots and insert them with the @savefig decorator. For more information on @savefig decorator, please refer to the end of this page in Pseudo-Decorators section. You can also have function definitions included in the source. ....:     An overcomplicated square function as an example. Then call it from a subsequent section. If you don’t see the next code block then the options work. Pretty much anything you can do with the ipython code, you can do with with a simple python script. Obviously, though it doesn’t make sense to use the doctest option. Here are the supported decorators, and any optional arguments they take. Some of the decorators can be used as options to the entire block (eg verbatim and suppress), and some only apply to the line just below them (eg savefig). execute the ipython input block, but suppress the input and output block from the rendered output. Also, can be applied to the entire .. ipython block as a directive option with :suppress:. insert the input and output block in verbatim, but auto-increment the line numbers. Internally, the interpreter will be fed an empty string, so it is a no-op that keeps line numbering consistent. Also, can be applied to the entire .. ipython block as a directive option with :verbatim:. save the figure to the static directory and insert it into the document, possibly binding it into a minipage and/or putting code/figure label/references to associate the code and the figure. Takes args to pass to the image directive (scale, width, etc can be kwargs); see image options for details. Compare the pasted in output in the ipython block with the output generated at doc build time, and raise errors if they don’t match. Also, can be applied to the entire .. ipython block as a directive option with :doctest:. The directory in which to save the figures. This is relative to the Sphinx source directory. The default is html_static_path. The compiled regular expression to denote the start of IPython input lines. The default is re.compile('In [(d+)]:s?(.*)s*'). You shouldn’t need to change this. The compiled regular expression to denote the start of IPython output lines. The default is re.compile('Out[(d+)]:s?(.*)s*'). You shouldn’t need to change this. The string to represent the IPython input prompt in the generated ReST. The default is 'In [%d]:'. This expects that the line numbers are used in the prompt. The string to represent the IPython prompt in the generated ReST. The default is 'Out [%d]:'. This expects that the line numbers are used in the prompt. Sphinx directive to support embedded IPython code. IPython provides an extension for Sphinx to highlight and run code. This directive allows pasting of entire interactive IPython sessions, prompts and all, and their code will actually get re-executed at doc build time, with all prompts renumbered sequentially. It also allows you to input code as a pure python input by giving the argument python to the directive. 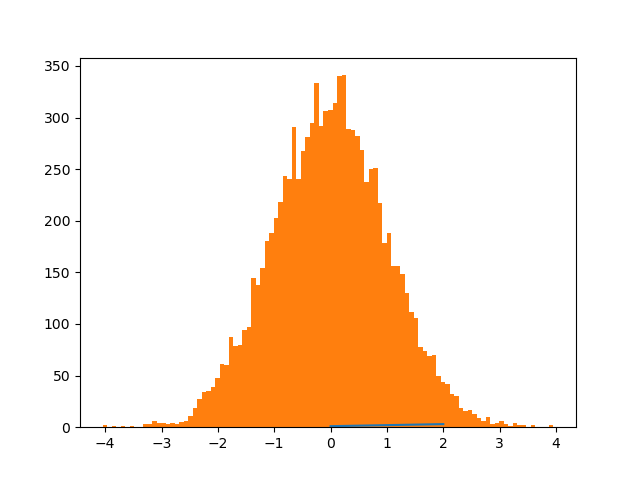 The output looks like an interactive ipython section. Here is an example of how the IPython directive can run python code, at build time. In : who = "World"
If the current section raises an exception, you can add the :okexcept: flag to the current block, otherwise the build will fail. The compiled regular expression to denote the start of IPython input lines. The default is re.compile('In \[(\d+)\]:\s?(.*)\s*'). You shouldn’t need to change this. Fail the build if something unexpected happen, for example if a block raise an exception but does not have the :okexcept: flag. The exact behavior of what is considered strict, may change between the sphinx directive version. The compiled regular expression to denote the start of IPython output lines. The default is re.compile('Out\[(\d+)\]:\s?(.*)\s*'). You shouldn’t need to change this. 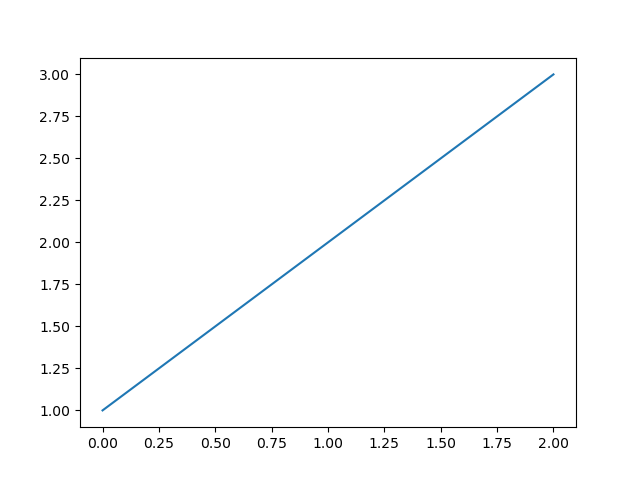 The string which specifies if the embedded Sphinx shell should import Matplotlib and set the backend. The value specifies a backend that is passed to matplotlib.use() before any lines in ipython_execlines are executed. If not specified in conf.py, then the default value of ‘agg’ is used. To use the IPython directive without matplotlib as a dependency, set the value to None. It may end up that matplotlib is still imported if the user specifies so in ipython_execlines or makes use of the @savefig pseudo decorator. A list of strings to be exec’d in the embedded Sphinx shell. Typical usage is to make certain packages always available. Set this to an empty list if you wish to have no imports always available. If specified in conf.py as None, then it has the effect of making no imports available. If omitted from conf.py altogether, then the default value of [‘import numpy as np’, ‘import matplotlib.pyplot as plt’] is used. When the @suppress pseudo-decorator is used, the execution count can be incremented or not. The default behavior is to hold the execution count, corresponding to a value of True. Set this to False to increment the execution count after each suppressed command. See http://matplotlib.org/sampledoc/ipython_directive.html for additional documentation. Note: Only one decorator is supported per input. If more than one decorator is specified, then only the last one is used. In : # raise warning. Turn the ad-hoc test() function into a real test suite. Break up ipython-specific functionality from matplotlib stuff into better separated code.